The company was started when the owner experienced her own need for a way to provide a gift for her mom who was ill. The owner's mom lived in Canada, and the owner lived in Florida. She remembered her mom's way of providing chicken soup as a comfort to sick friends and relatives. The company Spoonful of Comfort was born from this need to help her mom feel better. Food gift packages for all occasions are always welcome. Comfort food is popular with all ages and any time of the year is a great way to show care and love for someone who is need of some comfort. I received a beautiful package from the company and was pleasantly surprised by the high quality. My package contained a jar of chicken noodle soup, a box of delicious rolls, and a box of chocolate chip cookies. The chicken noodle soup was a high quality homemade soup and would remind customers of soup that their mom or grandmother might have made for them. Large noodles, large pieces of fresh chicken, and yummy vegetable selections of carrots and celery created a soup with flavor to delight. I would purchase the chicken noodle package again and plan to try the other soups with future purchases. The soup was easy to heat in the microwave as individual servings. You may also heat the entire jar in a large pot if you plan to serve the soup to a gathering. The homemade rolls were easy to heat in the microwave. The homemade chocolate chip cookies that came with my package were delightfully large and very rich with chocolate chips. I plan to purchase other flavors of soup, and plan to use this as gift items for friends in the future. Customers may also choose to purchase a monthly subscription. The monthly subscription would be appreciated by both family and friends. Food gifts are always appreciated, and with busy schedules that sometimes make it difficult to shop for a needed gift to meet any number of gift-giving occasions, online companies that provide quality gift baskets are a very popular source for food gift baskets. There are a wide variety of choices for online food gifts. Custom food gifts are rated #1 for choices in food gifts. Traditional and not-so-traditional food gifts are available. 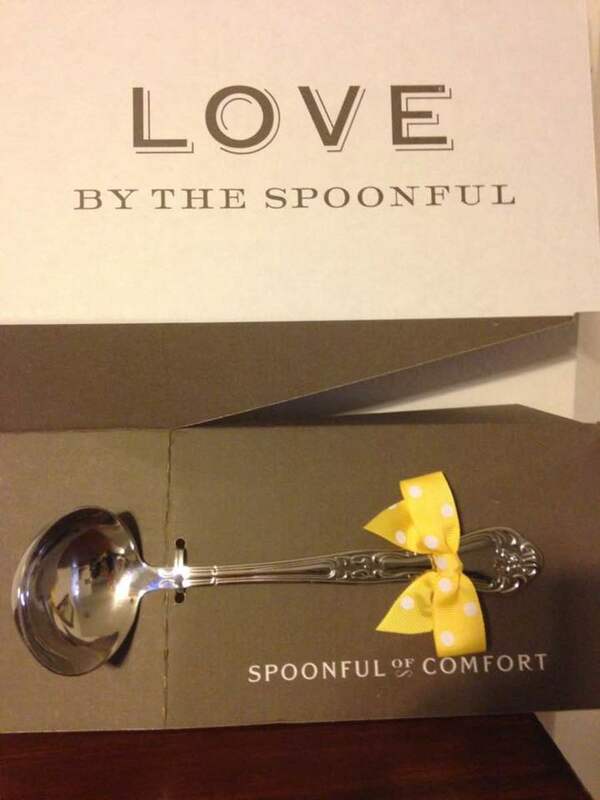 Spoonful of Comfort in Salt Lake City, Utah is a company that provides a not-so-traditional food gift package with its "comfort food" packages that include homestyle soup, homemade cookies, and homemade rolls. Each custom package contains a 3 lb. 12 oz. jar of homemade soup of a customer's choice, a box of 1/2 dozen homemade rolls, 1/2 dozen homemade cookies of choice, a large soup ladle, and a personalized note card. Gluten-free products are also available. 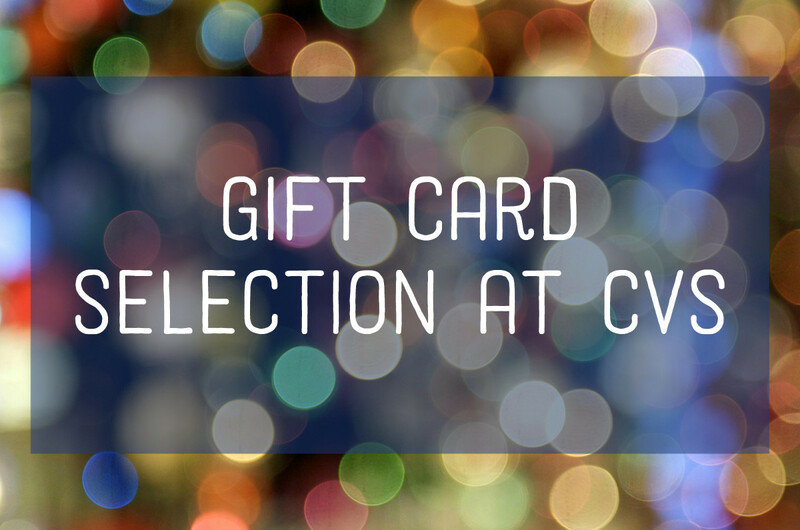 Customers may choose gift packages for a variety of occasions. 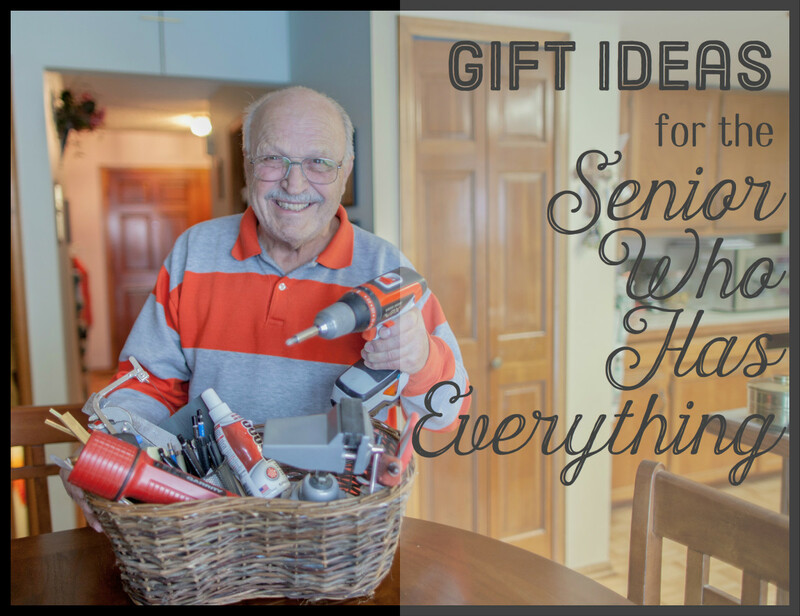 Categories for gift packages include "Just Because", "Get Well", "Sympathy", "New Parent", and "Away from Home". 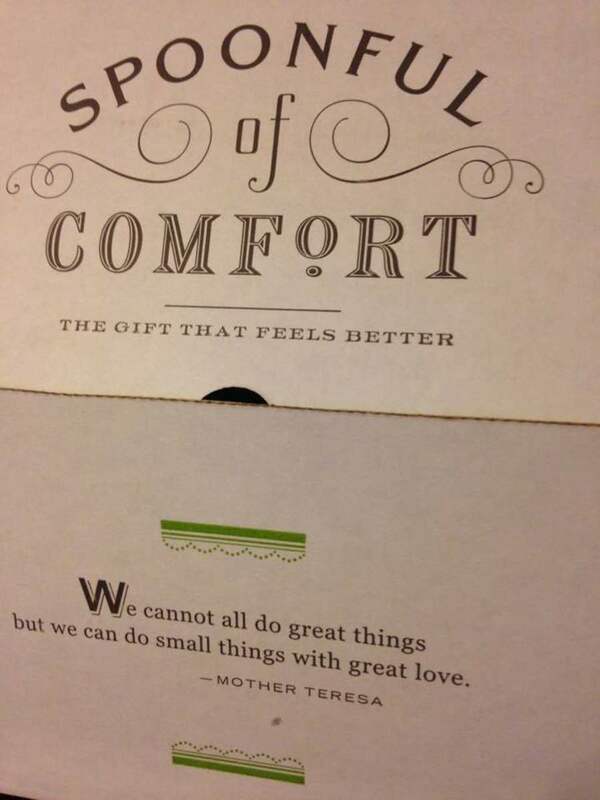 Comfort food packages from Spoonful of Comfort are also a great gift for teachers and school administrators. Corporate packages are also available. Brighten someone's day with a unique "comfort food" package. The company is located at 4543 S. Holladay Blvd. in Salt Lake City, Utah 84098. Everyone wants to eat better and quality food products from gift packages of food are always of interest. Food packages from Spoonful of Comfort contain nutritional information that demonstrates high quality. The homemade soup is available as a butternut squash soup, chicken noodle, tomato basil, and vegetable. The jar contains 4-6 servings. Each serving contains 90 calories. Nutrition facts are presented on the back of each jar. A list of healthy ingredients is also listed on the product jar. Soup that is unused immediately after arrival may be frozen to enjoy later. 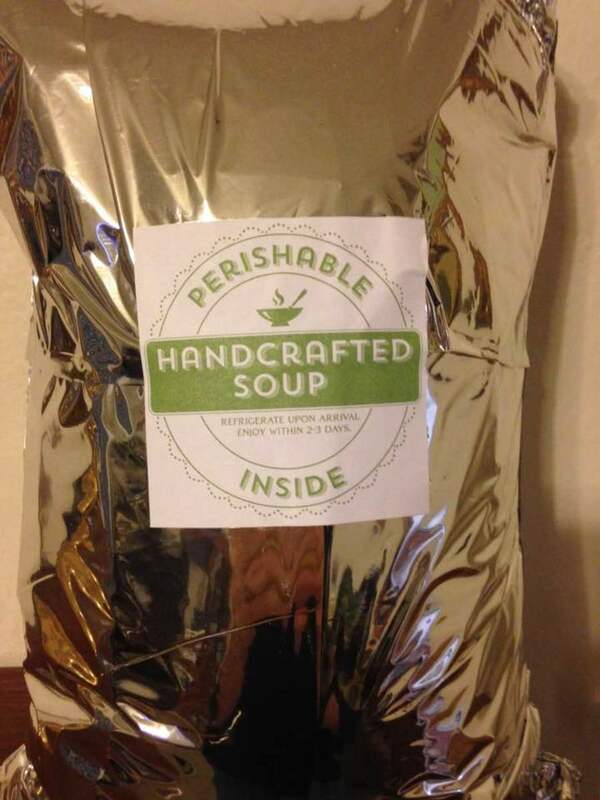 Each homestyle soup is fully cooked and heating instructions are provided. The homemade rolls arrive ready to heat and eat. 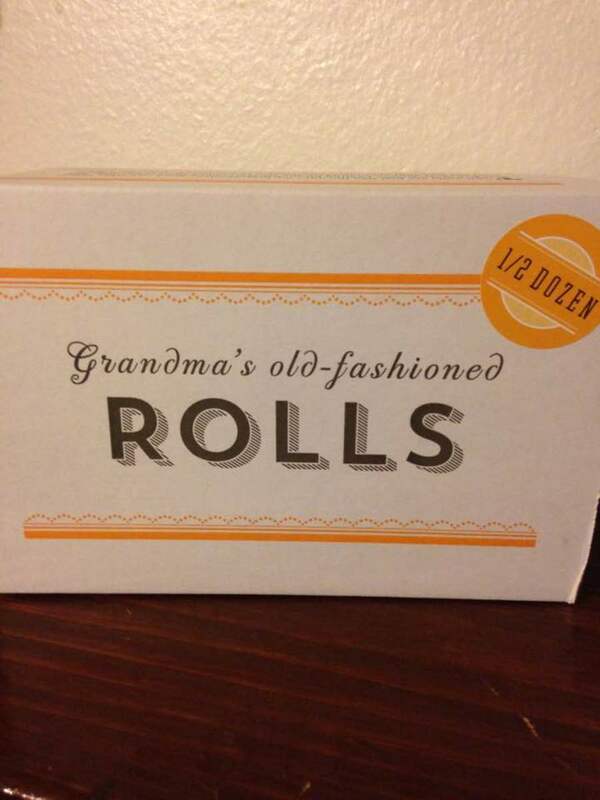 Nutritional information is provided on the package of rolls. The homemade cookies are available in chocolate chip, oatmeal raisin, sugar, and the always popular snickerdoodles. 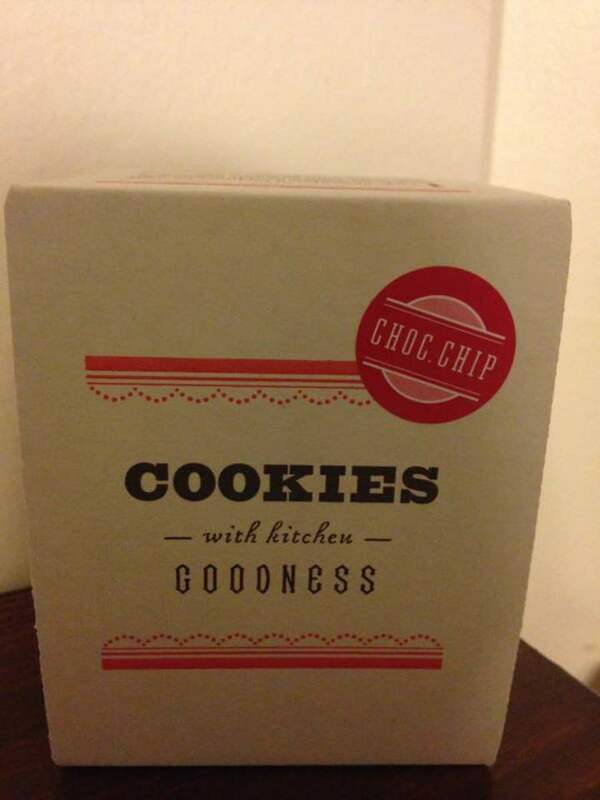 Nutritional information is also provided on the cookie box. Healthy and tasty gift packages from online companies are a popular gifts for holidays and a variety of occasions. Customers want to ensure that the company offers safety in their food products and they also want a beautifully packaged gift. Spoonful of Comfort has all of the qualities of an online food gift shop that customers will appreciate. Perishable food items arrive in quality containers. Spoonful soups arrive in a refrigerated package with instructions for storage and serving. Website offers appealing pictures of products. 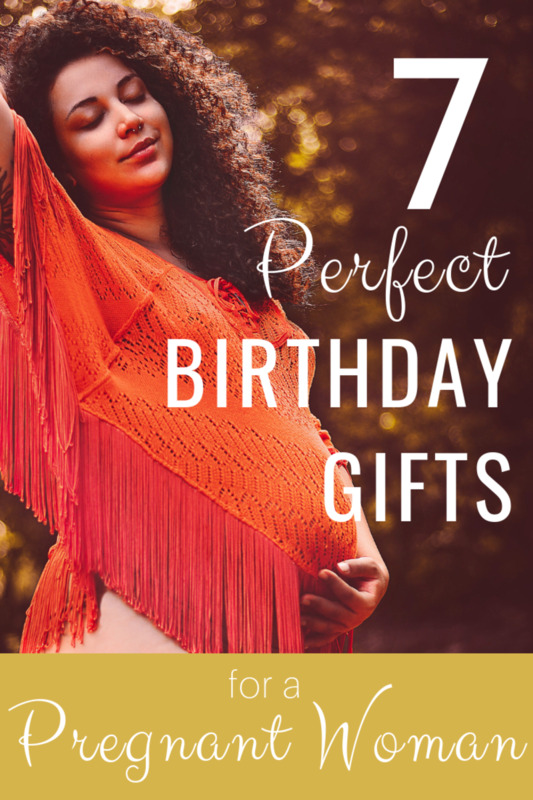 You can't smell or taste the products from an online food gift shop, and appealing photos are necessary for a quality website. A variety of choices is also a good way to judge a quality online shop. Competitive pricing is available. Spoonful has a variety of pricing for its products. Company complies with health department regulations. The website for of Spoonful provides contact information and the company welcomes your questions. What are your favorite occasions for sending food gifts?